Oceanalpha is a leading developer of Unmanned Surface Vehicle (USV) platforms, offering USV solutions for a number of applications, including: water quality sampling & monitoring, flow measurement, hydrographic survey, oceanographic research, security patrol, search & rescue, and maritime missions. Featuring advanced intelligent technology, Oceanalpha autonomous boats have been used by commercial clients, government organizations, research institutes and universities across the world. Our USV platforms are a reliable way to improve working efficiency on the water and can be used for hydrology research, scientific exploration, hydrographic survey, emergency search and rescue, security patrol, fire control and other tasks. We continuously develop our advanced USV solutions to meet the requirements of our customers. Monitoring the quality of water in rivers and lakes is of great importance to humans and wildlife alike. Conducting manual sampling and surveying of large bodies of water can be extremely challenging and resource-intensive. 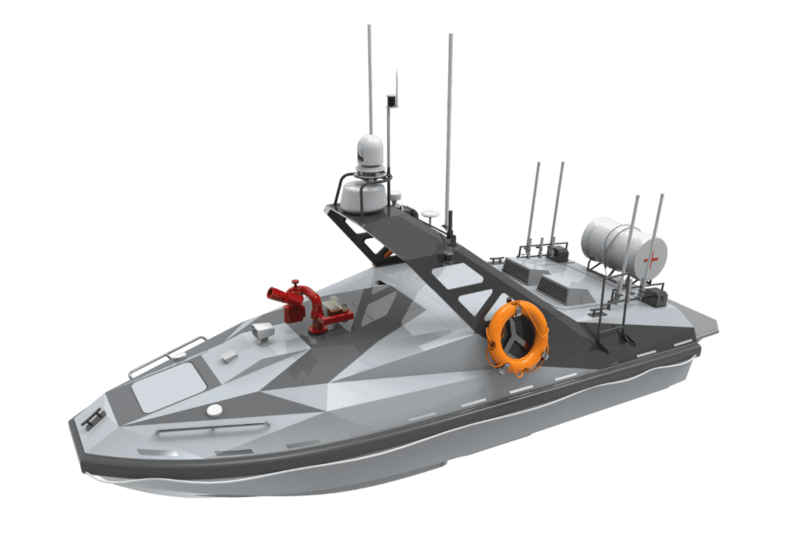 Our USV platforms vastly reduce the time and effort required to conduct missions that help keep drinking water safe, react to pollution disasters, and conserve wild plants and animals. 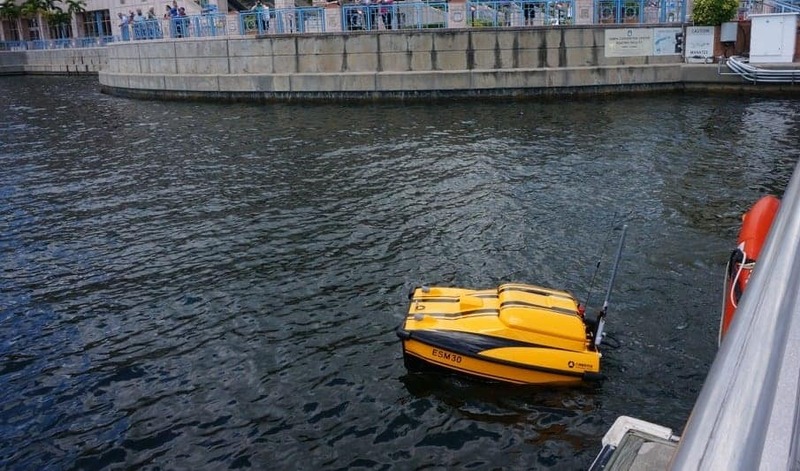 The ESM30 is an autonomous water sampling & monitoring unmanned surface vehicle (USV) designed to provide a fast response to sudden water pollution accidents in difficult or challenging environments, and to conduct water sampling tasks in lakes, rivers or reservoirs. The ESM30 uses GPS location tracking to follow preset waypoints and mission parameters, navigating autonomously while intelligently avoiding obstacles up to 10m ahead. It can integrate third-party probes, such as YSI, hydrolab and eureka, for online data acquisition and the creation of water quality contour maps. 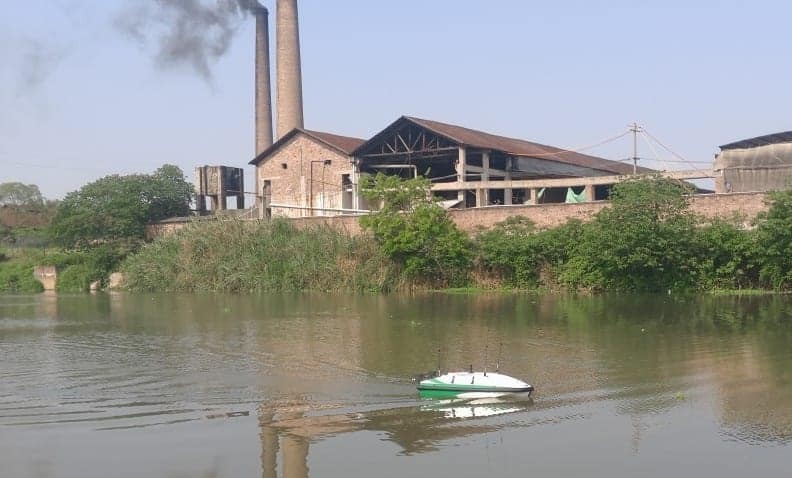 The TC40 USV is designed to track the source of water pollution, detecting hidden and buried sewage pipes at ranges of up to 100 metres and reporting their locations accurately using GPS. It can capture and transmit images at resolutions of up to 3cm, as well as live video. The TC40 can be manually controlled or navigate autonomously. Hydrographic surveys measure the physical features of seas, lakes, rivers and other bodies of water, and are often conducted to ascertain how these features will affect navigation, construction, exploration, oil and gas drilling and other maritime activities. Our USV survey platforms can greatly accelerate hydrographic data collection, requiring less manpower and cutting down on costs. The CL20 is designed for water discharge measurement and hydrographic surveying. With a carbon fiber and fiber glass hull it weighs just 12kg, making it highly maneuverable and easily operated by just one individual. It’s compact size means it can be transported in the back of a truck or SUV. 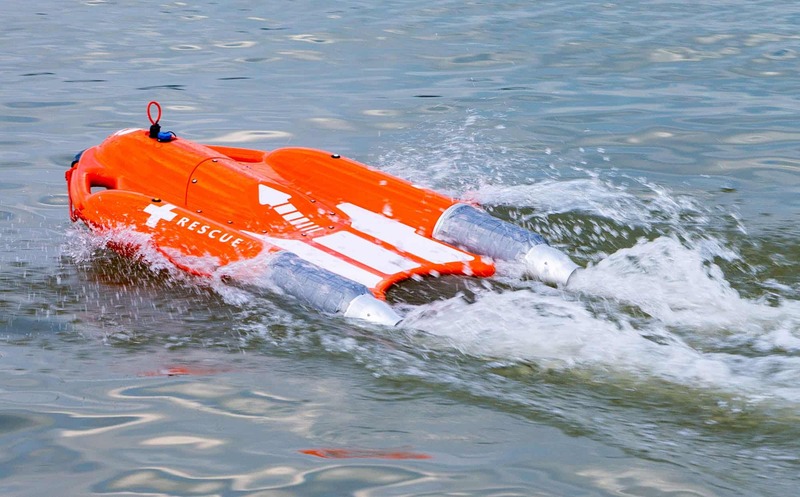 With a maximum speed of 5.5m/s and a 2km control range, the boat is suitable for most water current environments. The CL20 is compatible with different brand ADCP and single beam sonar, such as RDI, Sontek, and Linkquest. 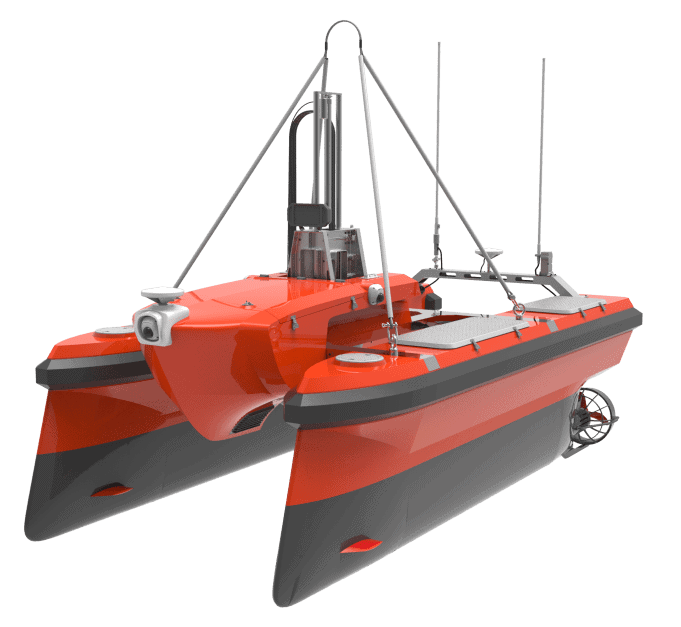 The ME40 is a hydrographic survey vessel constructed with a trimaran hull design for stable sailing and a shallow draft that allows it to survey reefs and areas close to shore with its single-beam sonar. The in-built inertial navigation system allows it to provide accurate real-time survey data. 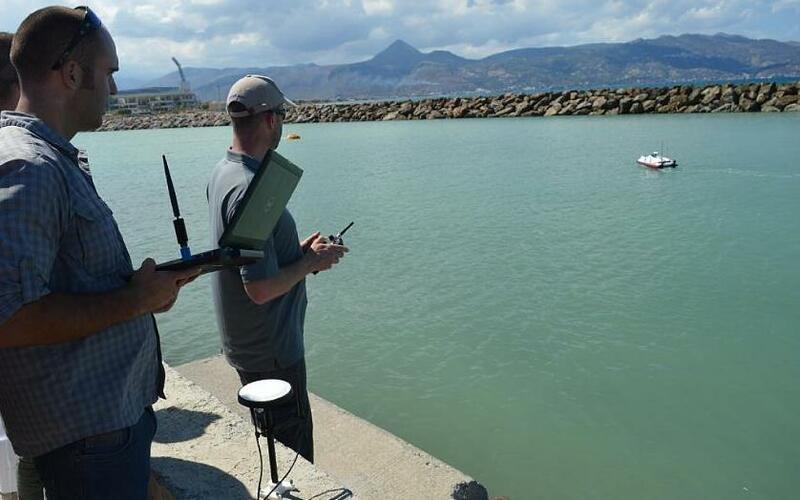 The ME40 greatly improves the flexibility and efficiency of bathymetry surveys, and is widely used in reservoirs, lakes and tailing ponds removing humans from potentially hazard situations. 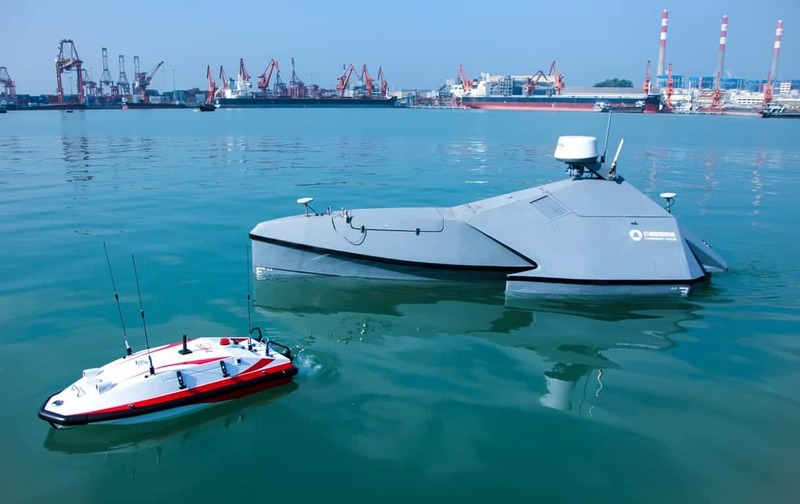 The ME70 is an unmanned vessel designed for heavy-load missions in conditions of up to Sea State 2. It is able to carry up to 25kg of additional payload, allowing the boat to be adapted for a wide range of applications including geological mapping and radiation detection. The ME70 is equipped with GPRS networking, allowing for uninterrupted communications and real-time video and data transfer. The M40A is a medium size autonomous survey platform, designed for bathymetry surveys in coastal areas and oceans. With a modular catamaran design and flexible payload for instruments, the M40A was developed to provide high performance surveys with single or multi beam sonars, as well as different kinds of hydrographic and monitoring instruments. The M40A has an aluminum and carbon fiber hull and is powered by a high capacity lithium polymer battery. The M80B is a large autonomous survey platform designed for oceanographic surveys. Developed to conduct high performance surveys, the M80B can carry a variety of equipment to a range of tasks, such as bathymetry, surveying waterways, and maritime search & rescue missions. 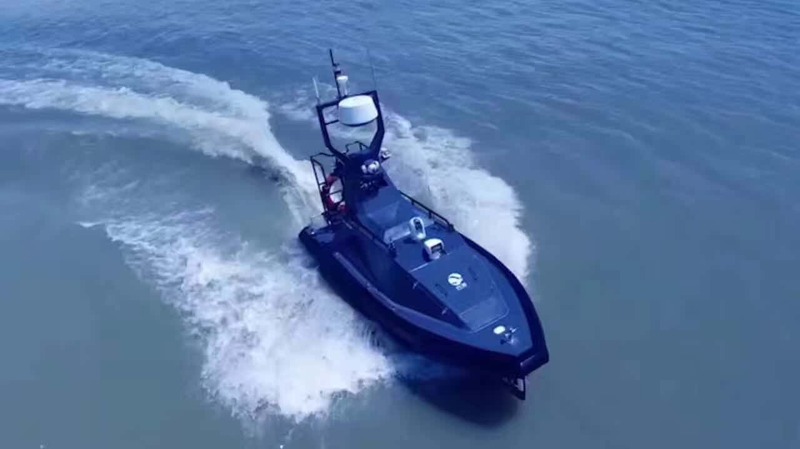 Powered by a diesel engine and capable of operating in Sea State 3, it can achieve a top speed of 12 knots and can operate for up to 10 hours (at speeds of 6 knots). The boat is equipped with radar and sonar for obstacle avoidance. The boat is customized to carry Teledyne T50P and T20P multi-beam echo sounders. 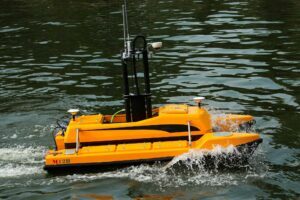 The ME120 USV is designed for autonomous hydrographic and oceanographic surveys. 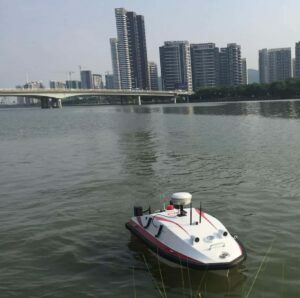 Featuring autonomous navigation and intelligent obstacle avoidance, the ME120 USV can undertake autonomous surveys providing real-time data transmission with long distance video monitoring. The convertible catamaran design can be easily assembled and disassembled, and transported by van. Compatible with small multibeam sonars, as well as other survey instruments, operators can change and install different instruments quickly during a survey. 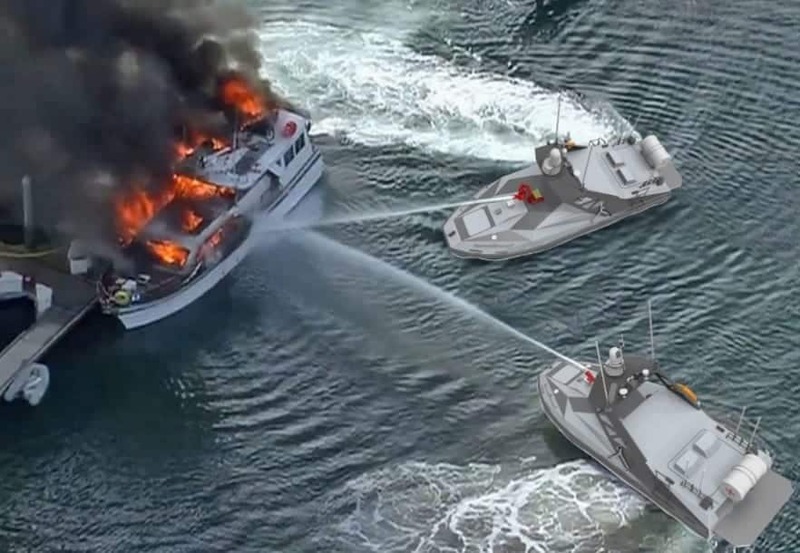 Our maritime USVs are multi-task unmanned surface platforms capable of high speeds and long-distance GPS navigation. 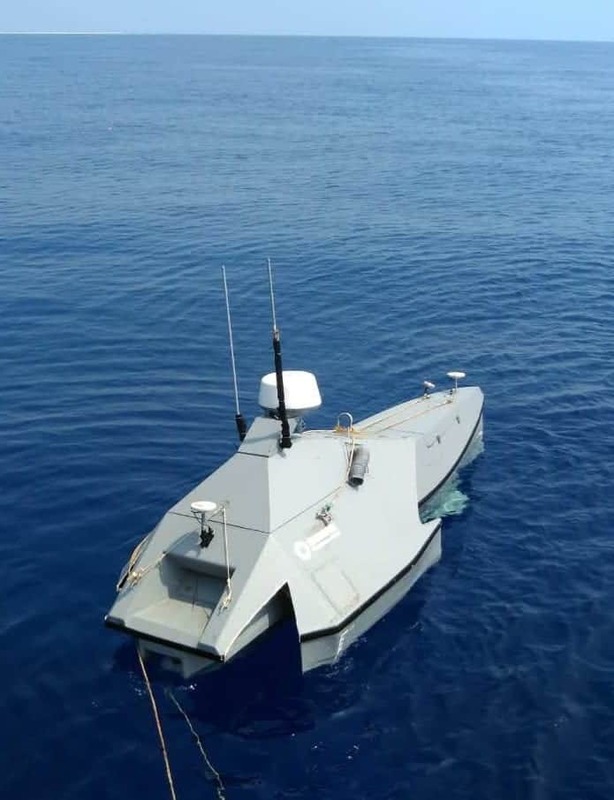 The vessels are ideal for security patrols, target monitoring, and identifying & tracking missions, providing a fast response even in difficult weather conditions. The M75 is designed for maritime security and patrol missions, as well as use in investigation and evidence collection areas. The high speed propulsion system ensures the M75 will arrive quickly to a given location. Constructed from high strength fiber glass, with carbon fiber and kevlar ballistic fabrics the M75 can operate in Sea State 4 conditions. The vessel can switch between manned and unmanned mode, allowing the operator to select how it is controlled depending on the situation. The L30 is a large platform for fire control on water. Equipped with a 50m range professional fire water cannon, it also carries life rafts and buoys. The life raft can be released via remote control during a mission to rescue individuals that may have evacuated into the water. The cockpit allows space to carry 4-6 individuals on board. Powered by a diesel engine, the L30 can achieve a top speed of 45 knots to provide a rapid response in most sea conditions, up to Sea State 5. The Dolphin I Smart Lifebuoy is an easy-to-use, remote controlled life-saving device that can be used for water-based rescues. Powered by two water-jet propellers, the lifebuoy has a maximum top speed of 10kn/s, allowing it to reach persons in distress quickly. The Dolphin I remote controlled lifebuoy is bright orange and mounted with two high penetration flashing fog lights, making it highly visible over long distances and in challenging conditions. 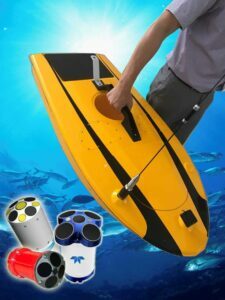 The propellers are wrapped in a metal shell to protect the user from injury and prevent entanglement with water plants. The lifebuoy can carry two persons. By submitting this form, you consent for your details to be sent to Oceanalpha and its authorized partners in order to respond to your inquiry. Depending on the location of the organization, your personal information may be transferred and processed outside of the European Economic Area.